The team consists of highly qualified, passionate and talented individuals with deep industry experience and knowledge. We are committed to client centricity and service, and take our fiduciary responsibility to our clients seriously. Our advisers are suitably qualified and collectively have over 100 years of relevant experience, which impacts on the quality of advice they offer to clients. The service team are highly skilled and qualified to a higher level to industry norms and collectively have close to 100 years experience, resulting in highly efficient and dignified service. 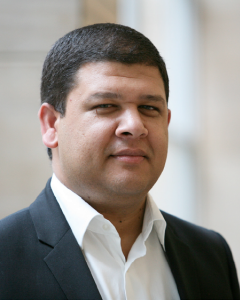 Craig holds a BCom (Wits), BCom Honours (UNISA), Post Graduate Diploma in Financial Planning (UFS) and an MBA (UCT). He is a CERTIFIED FINANCIAL PLANNER® professional and is a member of the Financial Planning Institute of Southern Africa (FPI). 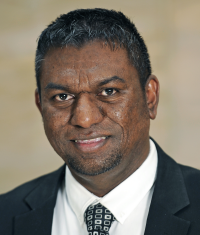 He is Vice Chairperson of the Investment Competency Committee of the Financial Planning Institute of South Africa. He serves as an Independent Expert on the Investment Sub Committee of Medshield. He has been in the industry since 1996 and has gained experience at an operational, management and executive level in a number of large financial services companies. Kagisho hold s a BBusSc (UCT), Post Graduate Diploma in Financial Planning (UFS) and an MBA (Stellenbosch). He was MBA student of the year in 2008, International MBA student of the year finalist and a past winner of the NBMBAA in Atlanta, USA. He is a CERTIFIED FINANCIAL PLANNER® professional and is a member of the Financial Planning Institute of Southern Africa (FPI). He was a Financial Planner of the Year Top 10 Finalist in 2013. 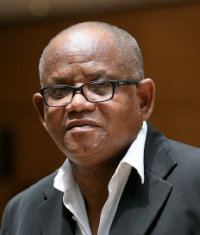 In 2015, he was elected Chairperson of the Gauteng Regional Committee of the FPI. He sits on the Board of a leading South African asset management business. 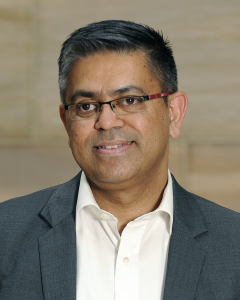 He has been in the industry since 1996 and has gained experience at an operational, management and executive level at Old Mutual and Coronation. Virath holds a National Certificate in Wealth Management (AFM), Post Graduate Diploma in Financial Planning (UFS) and an Advanced Post Graduate Diploma in Estate Planning and Personal Risk Management (UFS). He is a CERTIFIED FINANCIAL PLANNER® professional and is a member of the Financial Planning Institute of Southern Africa (FPI). He was the Top Student in the CFP® Professional Competency Examinations for 2012. He has been in the industry since 1998 and has gained experience in a technical and business development capacity in the area of Financial Risk Management. Virath is a Risk Specialist and has extensive expertise with structuring Risk Cover (Life, Disability and Dread Disease) for individuals as well as Financial Planning for business needs (Buy and Sell Agreements, Key Person Insurance & Contingent Liability). Phala holds an Advanced Post Graduate Diploma in Financial Planning, specializing in Asset Types and Portfolio Management (UFS), Certificate in Risk Management Programme (UNISA) and a Diploma in Chartered Institute of Insurance. He is a CERTIFIED FINANCIAL PLANNER® professional and is a member of the Financial Planning Institute of Southern Africa (FPI). In 1995 he spent time in New York on a Professional Development Programme which included Strategic Management. He has been in the industry since 1980 and has been in direct personal financial planning since 1995. Welcome holds a BCom (UNISA) and has completed his level 1 and 5 Regulatory Examinations. He is based at the Durban office and is responsible for advising clients in the KZN and Eastern Cape region. He has been in the industry since 1998 and has worked as an adviser for a number of wealth management companies. He has extensive experience in retirement planning and has worked with many GEPF clients over the years. Reena holds a Post Graduate Diploma in Financial Planning and an Advanced Post Graduate Diploma in Investment Planning. She is a CERTIFIED FINANCIAL PLANNER® professional and is a member of the Financial Planning Institute of Southern Africa (FPI). 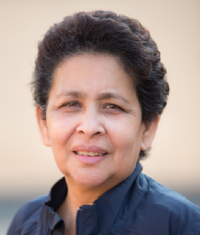 She has been in the industry since 1990 and has spent most of her career in employee benefits working for large financial services companies including Old Mutual, Alexander Forbes and Glenrand. 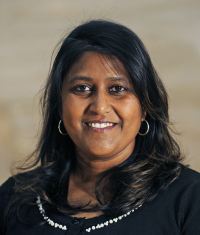 Reena joined Gradidge-Mahura Investments in January 2015. Cyril started his career specialising in finance, over the years he has developed his all-round business skills that has allowed him to successfully lead organisations. He has held positions as Financial Manager, Group Financial Manager, General Manager, Chief Operations Officer and Managing Director. He also served as a Director at various companies. 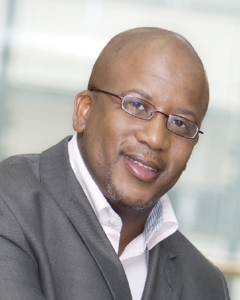 He has experience in working with blue chip clients, private companies billing in excess of R300 million a year and start-up companies that have grown to bill in excess of R50 million a year employing around 55 people. 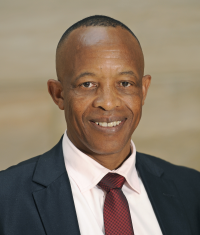 Cyril joined Gradidge-Mahura Investments in June 2015. Sheila started her career in the financial service industry as a broker support and has grown into an experienced client service person. She is very hands on with practice management. She has been in the industry since 2008 and has great experience in an insurance administrative capacity. Her strong client service and administrative skills helps to ensure that she is always on top of things thereby exceeding client expectations. 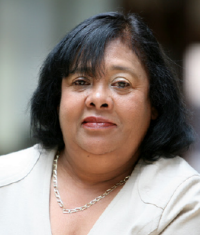 Sheila joined Gradidge-Mahura Investments in October 2014. Anna’s career in the financial service industry started at Old Mutual processing new and existing business. She was later transferred to Broker Distribution to service various brokers. She has gained invaluable industry experience since 1987 and now excels in her role as client services. Anna joined Gradidge-Mahura Investments in November 2013. Shanaaz’s career in the financial services industry started at Momentum in 2000 where she worked as client services for the branch. She was later transferred to the broker division where she served in various roles as Broker Liaison Assistant, conducting training for broker assistants, drafting business plans to finalise pending cases and future business from brokers and handled walk in clients. Whilst in the employ of Momentum, she received numerous awards and accolades as top performer. She possesses a critical understanding in managing relationships between company and client. Shanaaz joined Gradidge-Mahura Investments in April 2016.
running the Durban office and providing broker assistance. She has been in the industry since 1999. 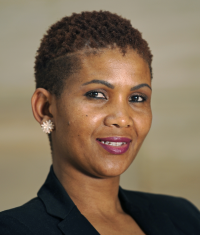 Sylvia joined Gradidge-Mahura Investments in June 2015. 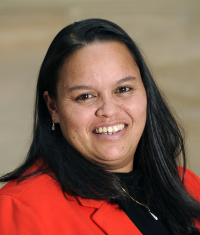 Charmaine was a branch manager at Nedbank Germiston for 10 years before becoming a successful financial planner. 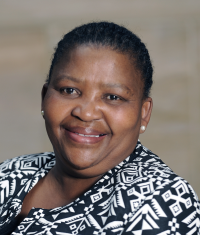 She has received numerous awards which include an Old Mutual top 10 Financial Planner, Old Mutual top 120 brokers for 2002 and 2003 as well as a Momentum diamond award just to mention a few. She has been in the industry since 1980 and has a wealth of experience in managing relationships between the company and the client. Charmaine joined Gradidge-Mahura Investments in May 2011. Busisiwe started her career in the financial service industry with Gradidge-Mahura Investments. Her strong client relations and administration skills is vital to her fulfilling the role of Office Assistant. She is young, energetic and enjoys the financial service industry and is dedicated to growing in her role. 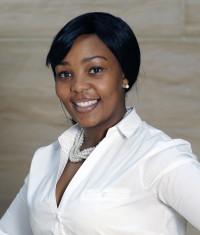 Busisiwe joined Gradidge-Mahura Investments in May 2012. “Picking shares is like a beauty contest.